Home Diet Plan How Important are Multivitamins in Preventing Cancer? 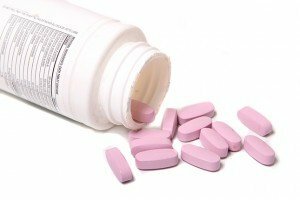 How Important are Multivitamins in Preventing Cancer? Editor’s Note: This article first appeared in the August 2016 edition of TTAC’s Heroes Against Cancer member newsletter. Multivitamins are the most common dietary supplement consumed in the U.S. and are regularly taken by at least one-third of all American adults. Traditionally, a daily multivitamin is meant to prevent nutritional deficiency – and the combination of essential vitamins and minerals in these supplements is designed to resemble healthy dietary patterns, including regular fruit and vegetable consumption. Further, a State-of-the-Science conference sponsored by the National Institutes of Health (NIH) also concluded that present evidence is insufficient to recommend either for or against the use of [multivitamins] to prevent chronic disease. These are surprising statements, especially considering that such evidence does exist – and in the public domain, too. Are these so-called “experts” unaware of studies that show clear benefits of multivitamin supplements for chronic disease, and in particular, cancer prevention… or are they deliberately misleading us? Interestingly, in a 2009 online survey, 900 physicians and 277 nurses were asked whether they used dietary supplements and whether or not they recommend dietary supplements to their patients. The “Life…supplemented” Healthcare Professionals Impact Study (HCP Impact Study) reported that 51% of physicians and 59% of nurses reported that they themselves used dietary supplements regularly. The most common reason they gave for using dietary supplements? To maintain their overall health and wellness, of course. When asked whether they recommend dietary supplements to their patients, 79% of physicians and 82% of nurses said they did. So clearly these health professionals believe that supplements work. As a proven expert, Dr. Saul differs from the establishment view that multivitamin supplementation has no effect on cancer risk and prevalence. In his view, there are a number of peer-reviewed studies that show strong correlations between supplements and reduced risk of various cancers. One example is the Physicians’ Health Study II (PHS II), which looked at the effects of taking a common daily multivitamin supplement on overall cancer risk in over 14,000 male American physicians. The study clearly showed that multivitamin supplementation reduced overall cancer risk. Yet another study carried out in 2011 shows that that gamma-tocotrienol, a cofactor found in natural vitamin E preparations, reduces prostate tumor formation by an incredible 75%! But before we look at these studies in detail, let’s first understand how fruit and vegetable consumption impacts your cancer risk today. After all, produce has been the traditional source of health-giving vitamins and minerals in our diet for centuries – well before supplements entered the picture. Do Fruits and Vegetables Lower Cancer Risk? Many studies have shown that higher consumption of fruits and vegetables is associated with a significantly lower risk of dying from all causes. For instance, a 2014 meta-analysis of six prospective cohort studies showed that each daily increment of one serving of fruits and vegetables lowered the risk of dying, up to a threshold of five servings. So, what are the effects of fruits and vegetable consumption on cancer risk? To answer this question, another prospective study looked at the relationship between consumption of total fruits, total vegetables, and total fruits and vegetables combined, relative to cancer risk in the European Prospective Investigation into Cancer and Nutrition (EPIC) cohort. 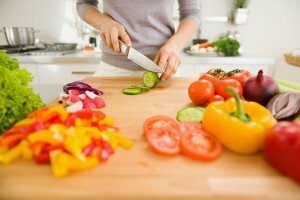 Both increased intake of total fruits and vegetables combined and total vegetables reduced cancer risk in the 142,605 men and 335,873 women included in the study. Overall, this study showed a small but clear and significant association between intake of total fruits and vegetables and lowered cancer risk. On the other hand, other studies have not always shown this relationship. For instance, a Swedish study in a large group of women did not find any connection between “fruit and vegetable intake” and overall cancer incidence. Yet another study looked at the relationship between fruits and vegetable consumption and the incidence of cancer and deaths in two different cohorts. 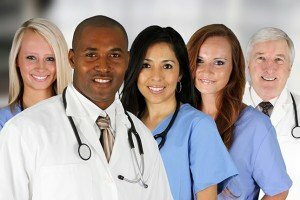 Nearly 72,000 female participants in the Nurses’ Health Study and nearly 38,000 male participants in the Health Professionals’ Follow-up Study were asked to fill in food-frequency questionnaires. It’s commonsense that regular consumption of organic produce is good for our health, so why do some studies not reflect this? The study results showed that total fruits and vegetable intake (five servings daily) was associated with a lower risk of cardiovascular disease, but not with lower overall risk of cancer incidence. 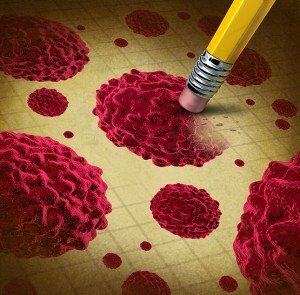 According to the National Cancer Institute (NCI), cancer is the name given to a massive collection of related diseases. The only common feature in all types of cancer is that some of the body’s cells begin to divide in a disorderly way without stopping and may eventually spread into surrounding tissues. Other than that, there are huge differences between different cancers in terms of what sets them off, how and where they grow, and whether or not they migrate to other parts of the body (known as metastasis). Further, differences in your genetics, environment, and lifestyle all affect your individual predisposition to developing cancer and how a tumor may grow inside your body. For instance, one person may develop lung cancer as a result of years of heavy smoking, while another may not. A third person may get lung cancer because of an entirely different reason. For example, working in an unsafe environment with cancer-triggering chemicals. Since no two cancers and cancer risks are alike, it’s not really possible to group many people together (each with their own specific type of cancer risk) and detect an effect of a therapy, unless the effect is so strong that it cuts across all forms of cancer. For instance, some very powerful drugs used in chemotherapy and radiation therapy do kill different types of cancer cells – but they also destroy normal tissue at the same time and are incredibly toxic for the body. Consumption of fruits and vegetables is much subtler and clearly does not affect the risk of getting all forms of cancer equally. Instead, consuming them may preferentially lower the risk of some types of cancer over others. Of course, eating freshly grown fruits and vegetables that have not been treated with pesticides or herbicides is safe for your body… unlike many powerful but very toxic cancer therapies. 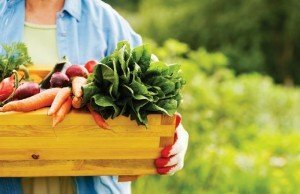 Is the Level of Nutrition in Today’s Fruits and Vegetables Sufficient? Today, most people buy their food instead of growing their own. This has spawned a massive food industry where, for the most part, the health and wellbeing of the end-consumer (that’s you and me), are considered secondary to profits. This makes no sense at all, since our health and wellbeing are intricately tied to our diet. In essence, we are what we eat. Many people these days are also prescribed various drugs and treatments by their MD when they fall ill. There’s a growing school of thought that this only further complicates the problem. That the poor quality of nutrition in today’s foods (including produce), lies at the root of all our health problems and should be addressed first. For instance, we assume spinach has a certain amount of beneficial iron in it. However, unless the soil the spinach was grown in had sufficient iron, this is simply no longer true. The fact that spinach had iron in it when levels were measured way back in the 60s doesn’t mean that the spinach you’re buying today has the same levels of iron. 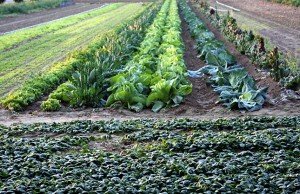 In fact, data from the U.S. Department of Agriculture (USDA) clearly shows that average nutrient levels in U.S. crops have been steadily falling since they were first documented just over 80 years ago. no idea what’s in your food and what’s not. Of course if your food is made with raw ingredients and is unprocessed, you can dramatically improve the nutritive quality of your diet. Many studies carried out on lab and farm animals given corn, soy, wheat, oats, and other crops grown in soils of different mineral levels clearly show that growth rate, vigor, and functional intelligence declined, while susceptibility to various diseases increased in animals fed crops grown in depleted soils, relative to more balanced soils. This makes intuitive sense. The nutritive value of the fruits and vegetables we eat has a direct impact on our personal health and wellbeing and helps to determine our susceptibility to various diseases – including cancer. The sad fact is… unless you’re growing your own food or sourcing it directly from a farmer you can trust, you simply can’t be sure of getting all the nutrients you need from your diet alone. Enter multivitamin supplements. Let’s see what credible, peer-reviewed scientific studies have to say about their role in cancer risk. This clinical trial represents the only large-scale, randomized, double-blind, controlled study testing the long-term effects of multivitamin supplementation for the prevention of multiple chronic diseases. In this study, researchers looked at the effects of multivitamin use on total as well as so-called “site-specific cancers,” including prostate and colorectal cancer. Simultaneously, they also looked at the effects on cardiovascular events, eye disease, and cognitive decline, the results of which are being published separately. A total of 14,641 male U.S. physicians aged 50 years or older (including 1,312 men with a history of cancer at randomization) enrolled in this study starting in 1997. During the follow-up period of 11 years, 2669 men developed confirmed cancer, including 1373 cases of prostate cancer and 210 cases of colorectal cancer. Compared with the control group, men taking a daily multivitamin had a statistically significant reduction in the incidence of total cancer. However, there was no significant effect on the incidence of prostate cancer, colorectal cancer, or other site-specific cancers. Further, there was no significant difference in the risk of death due to cancer between the multivitamin-treated and control groups. However, the fact remains… in this large prevention trial of over 14,000 male physicians, daily multivitamin supplementation modestly but significantly reduced the risk of getting total cancer. High blood levels of vitamin B6, folic acid (vitamin B9), and the amino acid methionine are associated with reduced lung cancer risk. In fact, people with high levels of these three nutrients had a significantly lower risk of lung cancer, whether they had ever smoked or not! Both B vitamins and methionine help to maintain the integrity of the all-important DNA in our body’s cells. 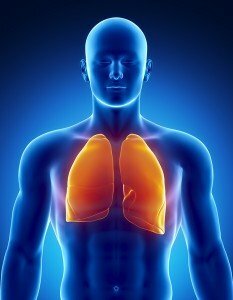 This may be how they affect lung cancer risk. For this study, the European Prospective Investigation into Cancer and Nutrition (EPIC) recruited over 500,000 participants from 10 countries and measured their blood levels for four B vitamins – B2, B6, B9, and B12 – as well as for methionine and homocysteine. Within the entire EPIC cohort, people with higher blood levels of vitamin B6, vitamin B9, and methionine showed an incredible 50% lower risk for lung cancer – and these results were seen in people who had never smoked, were former smokers, as well as in current smokers. Previous epidemiological studies have suggested that low or insufficient blood levels of vitamin D can increase the risk of getting several cancers; presumably, raising blood levels would reverse this effect. To examine this possibility, a systematic review carried out in 2009 identified 35 observational studies that looked at blood levels of 25- hydroxyvitamin D relative to the risk of colorectal, breast and prostate cancer, and colonic adenoma. These study researchers found that the higher the levels of blood 25-hydroxyvitamin D, the lower the risk of developing colorectal cancer. However, no such association was found for breast and prostate cancer in this review. On the other hand, it has been shown that in women diagnosed with breast cancer, those who have higher levels of blood 25-hydroxy vitamin D survive longer. While women with lower vitamin D have higher mortality rates. Indeed, a prospective cohort study in Germany with nearly 1,300 postmenopausal breast cancer patients clearly showed that lower blood levels of 25-hydroxy vitamin D were associated with poorer overall survival and a higher risk of death. You can tell that oncologist Victor Marcial-Vega, MD, likes a challenge. During a talk in 2010 at the Medical Sciences Campus in the University of Puerto Rico, he explained how he and his team had specifically sought out patients with advanced, “incurable” Stage IV cancers. Of these, 40 patients received 40,000-75,000 mg of vitamin C intravenously several times a week, along with a special diet and other supplements. Incredibly, 75% of these patients achieved an initial tumor response rate, defined as a 50% or more reduction in tumor size! 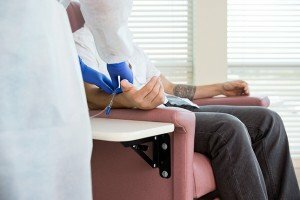 The Riordan intravenous vitamin C (IVC) protocol – now of great interest for its potential use in adjunctive cancer care – involves the slow infusion of vitamin C at high doses. IVC use has recently become very popular among integrative and orthomolecular medicine practitioners. Vitamin C was first suggested as a tool for cancer treatment in the 50s, when its role in collagen production and protection led to the hypothesis that its replenishment would protect normal tissues from tumor invasiveness and metastasis. Also, since cancer patients are often vitamin C deficient, replenishment may improve immune system function and enhance health and wellbeing in cancer patients. Up to a four-fold survival time has been observed in terminal cancer patients treated with IVC. #1. High blood levels of vitamin C can safely be achieved with IVC infusions. #2. At high levels, vitamin C is preferentially toxic to cancer cells and is able to prevent the formation of new blood vessels that feed tumors and help them to grow. #3. Vitamin C can accumulate in tumors, with significant tumor growth inhibition. #4. Published case studies report that IVC has anti-cancer efficacy, improves patient wellbeing, and lowers markers of inflammation and tumor growth. #5. Phase I clinical studies indicate that IVC can be administered safely, with relatively few adverse effects. Must be they never saw (or bothered to look for) this and other similar studies. Increasing intake of dietary alpha-tocopherol (300 IU vitamin E per day) was seen to lead to between a 34-53% reduction in lung cancer risk. Gamma-tocotrienols, one of the natural constituent compounds of vitamin E, have been shown to act against a wide range of human cancers. For instance, not only do they prevent prostate cancer cell invasion, but they also sensitize prostate cancer cells to other anti-cancer drugs. A 2008 study showed that tocotrienols are able to induce apoptosis and cell cycle arrest in human prostate cancer cells, suggesting a potential role for them in prevention of prostate cancer. In fact, this natural vitamin E factor leads to a staggering 75% reduction in prostate tumor formation! In a 2011 study, gamma-tocotrienols were seen to target prostate cancer stem cells, which may account for their anti-cancer actions. Other studies have shown that tocotrienols are powerful growth inhibitors and inducers of apoptosis (“programmed cell suicide”) in human breast cancer cells. Contrary to the view espoused by government health agencies, vitamins are very good for our health and wellbeing. As we’ve covered in this article, there are many peer-reviewed studies that show strong correlations between regular consumption of multivitamin supplements and reduced risk of various cancers. No, we’re not claiming that any single multivitamin supplement will cure cancer. Let’s be clear: supplements do not cure cancer. Food does not cure cancer. But clean, organic, non-GMO food can provide the body the raw materials (i.e. fuel) that it needs to heal itself. That is the where true healing/ curing takes place. It’s the body that heals! In the words of my good buddy, Robert Scott Bell, “the power to heal is yours!” And much in the same manner that food can provide fuel to the body to facilitate healing, so can properly manufactured supplements. That being said, not all supplements are created equally. Believe it or not, many vitamins that are marketed as “natural” in your local grocery store are actually synthetic, and to call a synthesized vitamin “natural” is an oxymoron. Natural vitamins are made by God. They’re not “created”(synthesized) from something by experts in laboratories, with various components being isolated from other essential components. The fact of the matter is that isolated, synthetic nutrients are not found anywhere in nature. We all know that whole foods (like fresh vegetables, raw honey, and brown rice) are more nutritious than refined foods (like vegetable chips, white sugar, and white rice). I think everyone would agree on that fact. I mean, that’s a “no brainer.” So why should it be any different for vitamins and minerals and supplements? The reality is that synthesized supplements are not nearly as beneficial for the body as whole-food-based supplements. Much like refined foods, synthesized supplements have oftentimes been robbed of nutrients, act more like “drugs” or “xenobiotics” (foreign substances) in your body than supplements (because they are isolated), and can actually create imbalances if taken for long periods of time. Whereas whole-food-based supplements are exactly what their name suggests: supplements made from concentrated whole foods. The vitamins are not isolated, but actually a synergy of enzymes, coenzymes, trace elements, antioxidants, and other factors all working in harmony to provide your body with the fuel that it needs to stay healthy. If you go to a junkyard, you can certainly find all the “parts” that are needed to build an automobile (tires, a steering wheel, an engine, shock absorbers, an axle, windshield wipers, seats, headlights, etc). However, if you throw all these isolated parts into a big pile, you can’t expect a BMW to emerge, can you? I mean, we all know that an automobile, in its original form, will perform better than a heaping pile of individual parts. A perfect example of this is calcium. 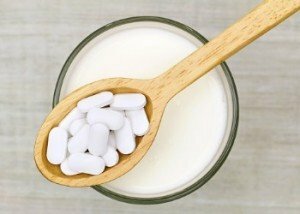 It’s generally accepted that we need calcium to build and maintain strong bones and teeth and joints. But supplementing with calcium alone does more harm than good. Without magnesium, vitamin D, zinc, boron and high quality, bio-available protein, our bodies do not know what to do with the calcium. Without these “cofactors,” the body’s tissue literally chokes on the calcium, sort of like filling an engine with gasoline but forgetting to give it oxygen. Gag! Choke! Flooded engine. In the case of calcium, without the co-factors, it gets deposited in tissue (known as “calcification”) and is one of the signs of aging. Eventually it can cause premature death. Quite literally, we turn to stone. But what happens if we mix a little air with the gasoline? Boom!… The engine ignites! Similarly, if we mix in zinc, vitamin D, magnesium, silicon, boron, and protein with the calcium, then the body understands what’s going on, the cells turn on, and the body begins to function at optimal levels. Although many supplement makers try to cram as many isolated components as possible into a capsule, telling us that “the more the better,” the reality is that synthesized components can actually create imbalances in the body. What we need is bioavailable, synergistic, nutrient complexes only found in whole-food-based supplements. This article first appeared in the August 2016 edition of TTAC’s Heroes Against Cancer newsletter. Each month in Heroes Against Cancer we share the best ways you can use to get and stay healthy – including delicious recipes and the best in supplements, herbs and spices. Find out more about our member newsletter here. 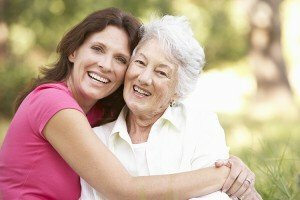 The post How Important are Multivitamins in Preventing Cancer? appeared first on The Truth About Cancer.